A 33-YEAR-old Dublin mother who has survived a 13-month battle with cancer is working to provide a new online support magazine to those who have been affected by the disease. Holly Kennedy was diagnosed with breast cancer in December 2016 after discovering a lump while breastfeeding her newborn son. 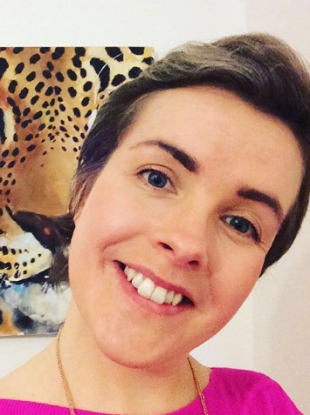 Midway through her cancer battle, she made the decision to launch an online magazine – Happy Magazine – for people experiencing cancer in Ireland. The magazine aims to share something useful, helpful or positive about the Irish cancer journey every day. Speaking of discovering she had cancer, Kennedy told TheJournal.ie: ”It was crazy, we were just getting to grips with having a new baby at home and I was just getting over the whole having a baby thing. I was breastfeeding my little boy and that’s how I found the lump. I think if I hadn’t been breastfeeding him I might not have noticed it, so sometimes I think he’s a godsend. Kennedy subsequently went through 13 months of chemotherapy, surgery and radiation therapy, which she said was “the hardest thing” she has ever experienced. “I was very, very down, very depressed, I just thought I was never going to be happy again and I thought my life was over,” she said. Kennedy said that she set up the Happy Magazine website because she wanted people to have an outlet that let people know that it was possible to be happy again following a cancer diagnosis. “Being a young woman with breast cancer, I found it really hard. I felt like the only young woman in the chemo ward or the only young woman with a baby at home. I felt really alone,” she said. There are resources there and support for older women, but there’s nothing really for younger women and there’s nothing really you can access at home. She said that while there are resources available online for people in Ireland with cancer, most of it is technical or medical information. Because of this, she decided to launch the website, with aims to provide practical advice and information about living with cancer. Explaining the purpose of the website and its content, Kennedy said it covers topics such as how to still be happy, what your diet should be, how you can help yourself through chemotherapy, and what you’re going to do with your hair when it starts to grow back. When I was going through chemo I thought how come there’s no magazine for this? There should be a dedicated publication for people, something that is uplifting, that gives them hope and information. Happy Magazine currently has around 10 regular contributors and publishes content daily. Kennedy is aiming to turn the online magazine into a print edition by Autumn, and that 10,000 copies can be distributed to cancer treatment and support centres in Ireland. Email “'I felt really alone': 33-year-old wants to help young cancer patients with online magazine”. Feedback on “'I felt really alone': 33-year-old wants to help young cancer patients with online magazine”.